Hey there all you lovely people! Happy Friday!! Do you have any fun plans for the weekend? My plans include Ikea with a girlfriend, cleaning, laundry, and packing for vacation! Having the summer off work, I have had time to try new places and spend time with more people. I wanted to share some of my recent favorite food finds. This place is excellent! 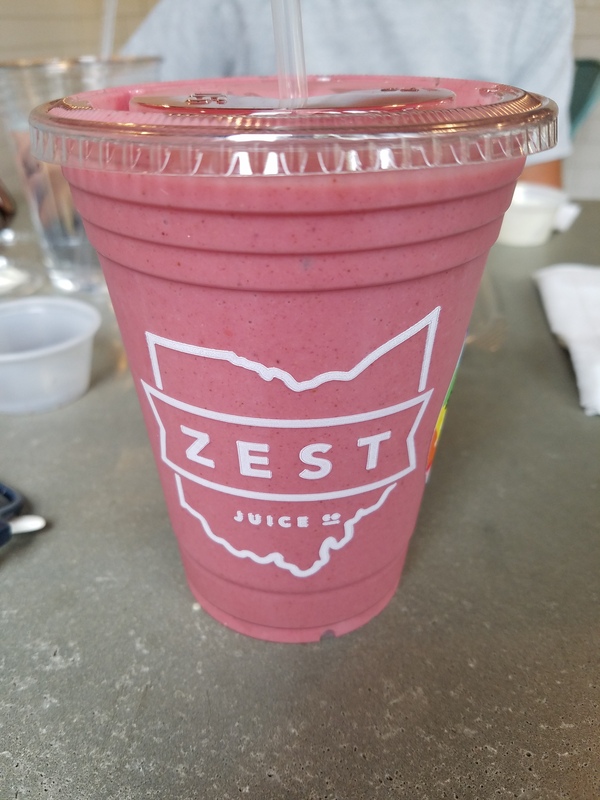 They have fresh juices, health shots, smoothies, and tasty food. My mom and I went the other day and I had a smoothie with strawberries, coconut milk, peanut butter, etc. 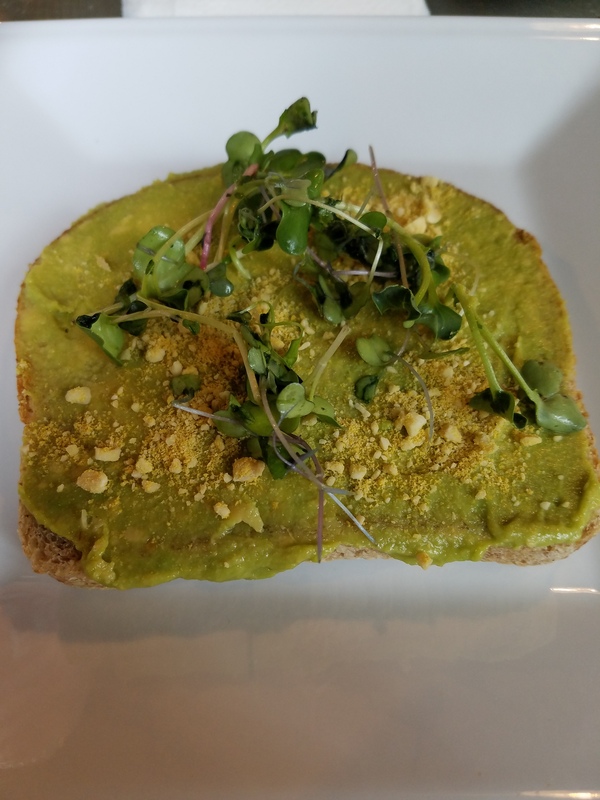 I also had parmesan avacado toast. YUM! Acacados, vegan parmesan, wheat toast, and greens. I have been wanting to try this place for a while now. 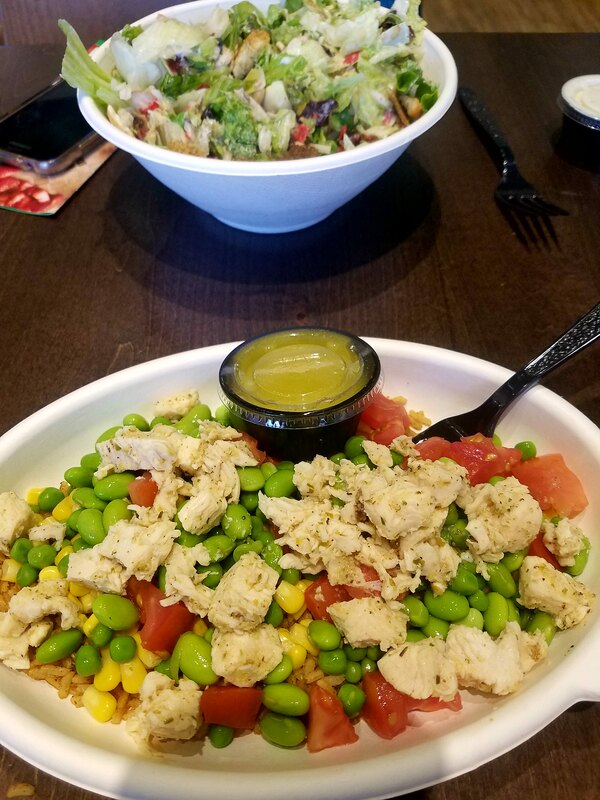 They have build your own salads and bowls, as well as signature items. I made a bowl with cilantro rice, peas, tomatoes, corn, edamame, chicken, and a jalepeno lime vinaigrette. My mom made a salad. I enjoyed my meal a lot and will definitely be back! I love summer because we grill a lot. 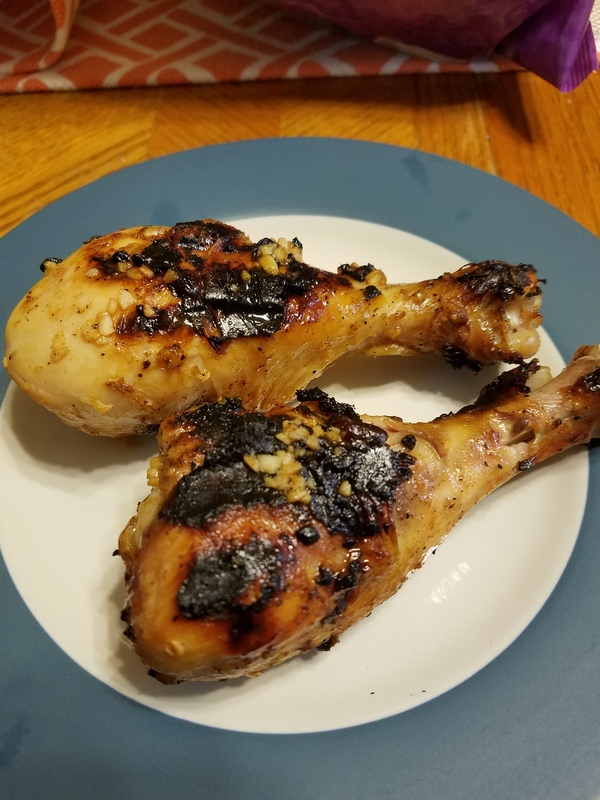 I love chicken legs and I can get a good amount for cheap. I made a healthy marinade out of minced garlic in olive oil, lime juice, salt and pepper. Easy, but SO tasty! This mixture is everything!! I love putting nuts in my yogurt, and when I saw the cherry flavor in my fridge I had to put something with chocolate in it. 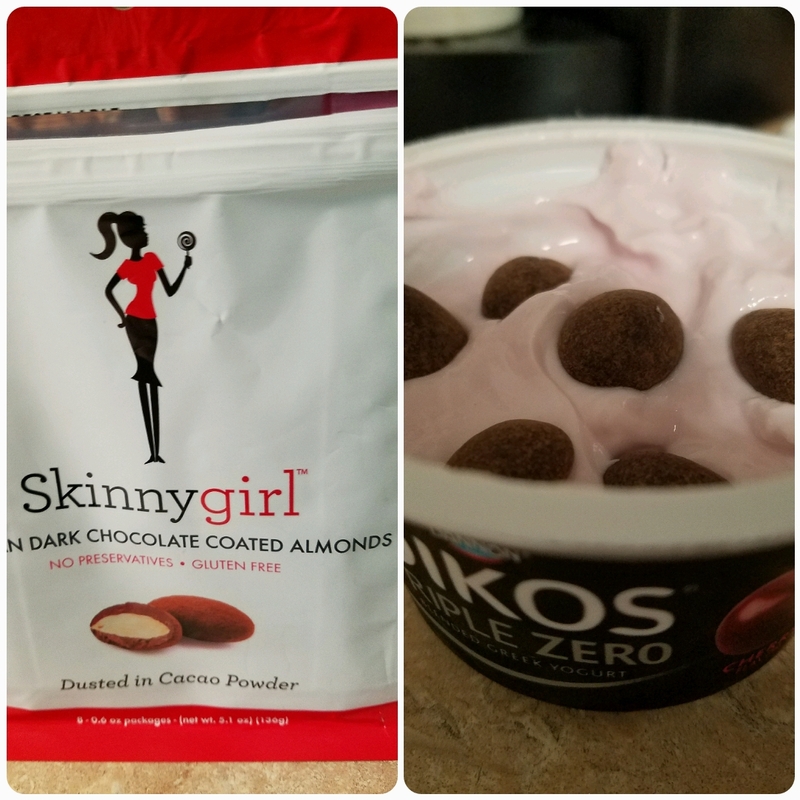 I had one pack of my skinny girl chocolate coated almonds (these are great by the way) and added them to my yogurt. Filling and delicious! I had this alongside of coffee and a lara bar! There you have it! A few favorites from this week. What are you guys loving lately? !